The world of 3D printed things is steadily growing. Awareness of this disruptive innovation is rising and it is becoming difficult to ignore. From printed shells for hermit crabs to printed homes for people, one wonders, will everything soon be printable? Already there is evidence that 3D printing can save money. 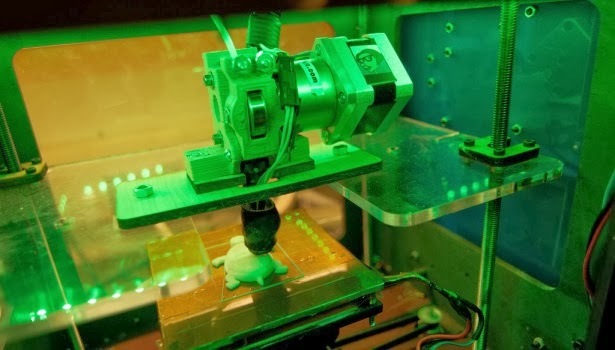 A study from Michigan Technological University suggests that a 3D printer can help a household save up to $2000 per year, simply by printing, as opposed to purchasing things. For anyone who does not want a 3D printer, big savings will still be possible, thanks to a 3D printing company called Shapeways. "You then send or take the unwanted item to a 3D printing lab, and print off something you do want. Thus your old patio chair becomes a set of cutlery, a broken photo-frame a magazine rack, old wine glasses a bathroom mirror, and so on." Another development in 3D printing will fit right in with the Internet of Things. Microsoft Research and Carnegie Mellon University have devised a way to 3D print a kind of barcode near the surface of an object so that it can be sensed and located using a technique called terahertz imaging. These traceable codes known as InfraStruct, are inexpensive; however, the THz beam technology remains very costly. For many, this seeming revolution in manufacturing is reminiscent of how Napster overturned the music industry and gave rise to the iTunes model. Others are expecting that the 3D printing marketplace will become a kind of cottage industry wherein arts and innovation will thrive. Whatever the case may be, these developments remind us to anticipate change, because one thing is certain, nothing will remain the same. By the way, would you like a 3D printed hamburger on that bun? To discover more about the Internet of Things check out our YouTube playlist, Pinterest board or Google+ Community.